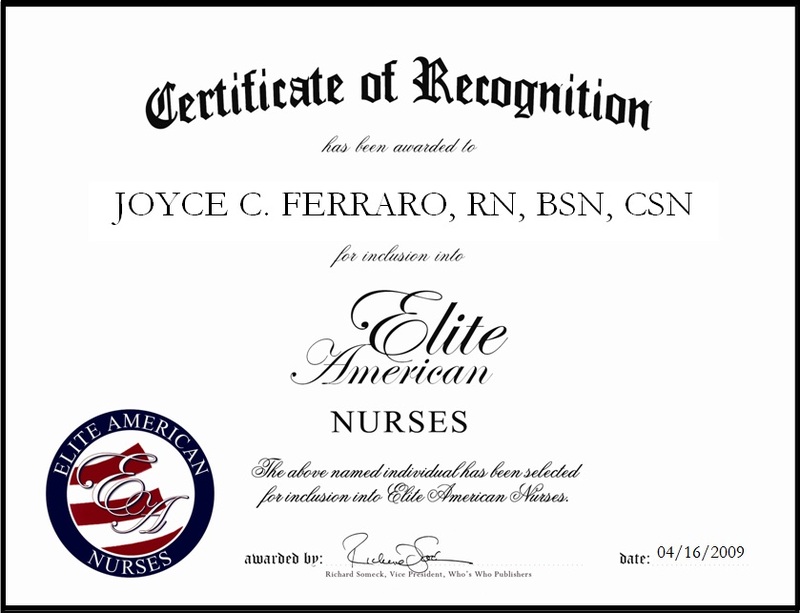 Flanders, NJ, February 13, 2015, Joyce C. Ferraro, RN, BSN, CSN, Registered Nurse, has been recognized by Elite American Nurses for dedication, achievements and leadership in nursing and psychiatric care. Ms. Ferraro is employed as a school nurse for three school districts for children in all grades, where she administers all aspects of nursing care such as blood pressure readings, doctor referrals, and treatments for cold and flu. She was previously a psychiatric nurse at Greystone Park Hospital for 18 years, where she held the title of head nurse from 1986 to 1988. Following this, she served as an instructor of nursing for all direct care staff such as nurses, doctors, counselors, psychologists and social workers from 1988 to 2000. In this position, she taught programs on all shifts, including a state-mandated new orientation program for nurses. She also taught courses for those with HST, HSA, RLS, and HCTS designation. 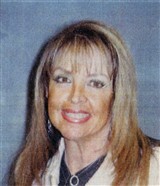 Later, Ms. Ferraro worked as a quality assurance specialist from 2001 to 2004. During this time, she qualified patients for psychiatric admission to the New Jersey State Hospital and followed up with their private doctors upon admission. This position entailed that she discharge Medicare and Medicaid patients and review and monitor their charts. She also monitored the direct care staff caring for these patients, and issued citations in staff deficiencies when needed. Ms. Ferraro was also a supervisor of nursing at Sunrise Assisted Living in Randolph, N.J., where she supervised health care workers and conducted skilled training. She would like to tell the nurses of today that you have to be dedicated, put in long and hard hours, lots of studying, have patience, passion and a continued desire to learn and keep up with the education and technology of today. This entry was posted in Administration, Psychiatric Care and tagged nursing, nursing administration, patient care, quality assurance. Bookmark the permalink.